“We are pleased with today’s sentence and I believe it reflects the seriousness of what Chua has done, and can hopefully go some way to providing a resolution for the victims and the families of those that he has so painfully harmed. On behalf of Greater Manchester Police, I would like to once again extend my sympathies to the families of Tracey Arden and Derek Weaver as well as all the victims of poisoning and their families. “Hidden in plain sight and using unsuspecting colleagues to carry out his sinister plan, Victorino Chua deliberately poisoned and murdered those who were under his care and those who were at their most vulnerable and most in need of help. “He would then watch the fruits of his labour unfold, as absolute chaos ensued across the wards as colleagues fought to save patients whilst attempting to comprehend what was happening. “Chua has demonstrated clear narcissistic and psychopathic tendencies and such indiscriminate poisoning is testament to that. He clearly had no regard for his patients and did not give a second thought as to who would be injured or the devastation this would cause them and their families. “There can be no doubt that he intended to both murder and injure patients under his care; despite him knowing what effect this poisoning was causing, he continued with no regard for his victims. “It is so far from keeping with the ethos of those employed at the hospital or as health professionals generally that it is incredulous to believe someone in that vocation to be capable of such malevolence. “From the outset we committed significant resources to this investigation with a view to bringing the offender to justice and I have to say that the cooperation we have received from Stepping Hill from the very beginning has been wholehearted: they have remained as resolute and determined as we to unmask the perpetrator, from the first day to the last. “I would also like to thank those from the CPS who have been embedded with us while the investigation was progressing for their insight and assistance and whose excellent prosecution has resulted in this conviction as well as the many experts across Europe, without whose help we would not be where we are today. “This has been without question the most complex police investigation I have undertaken in more than 15 years as a senior police detective, and I do not have the words to adequately convey my admiration for every member of my team for their fortitude and commitment to this case. 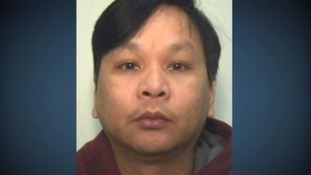 Victorino Chua failed to show any remorse for murdering and poisoning patients at Stepping Hill Hospital, police say. Victorino Chua murdered two patients and poisoned 19 others. Chua, 49, was jailed for at least 35 years, meaning he will not be considered for parole until he is in his mid 80s. Speaking after sentencing, Detective Superintendent Simon Barraclough said: "He's consistently failed to show any form of emotion during this process and any form of remorse for what he's done. "And in fact even through the lengthy process of sentencing this morning, there was not a flicker of emotion on his face apart from what appeared to be a general contempt for all the proceedings on going." The brother of a woman who died after being poisoned by Victorino Chua says a minimum 35-year jail term will ensure the nurse "will never be able to harm anyone again". Gary Arden's sister Tracey, 44, died after Chua injected insulin into saline bags and ampoules at Stepping Hill Hospital, Stockport, in 2011. Today marks the end of a really difficult four-year period for all the families but in particular my parents and Tracey's daughters. The sentence that's been handed out by the judge today reflects, whilst it won't bring any of the victims, Tracey back, or rectify what's been done by Victorino Chua, I think it recognises the gravity of the offences and will make sure he will never be able to harm anyone again in the future. The sister of one of Victorino Chua's victims says she is "delighted" the "evil" nurse has been jailed for a minimum of 35 years. "We're delighted at the verdict.. we can all have closure, it's been a dreadful, dreadful experience," Derek Weaver's sister, Lynda Bleasdale, said outside Manchester Crown Court. Asked how she felt about Chua, Ms Bleasdale said: "I think he's so evil, he obviously enjoyed seeing people suffer." Ms Bleasdale also paid tribute to police and prosecutors who helped convict the 49-year-old. A nurse found guilty of murdering two patients at a hospital where he worked has today, Tuesday 19 May 2015, been sentenced to life in prison with a minimum of 35 years. 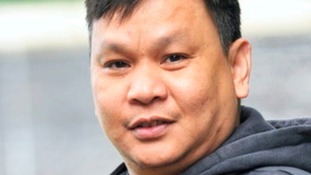 Victorino Chua, aged 49, of no fixed address, deliberately contaminated products that were stored on acute treatment wards at Stepping Hill hospital with insulin. The products - which included saline bags and ampoules - would then be used by unsuspecting staff members to treat unsuspecting patients. The insulin would cause them to suffer hypoglycaemia - a drop in blood sugar levels. The effects of such poisoning vary drastically but can result in death and Chua was found guilty of the murders of Tracy Arden, and Alfred Derek Weaver, known to his family as Derek. He was also found guilty of intentionally causing grievous bodily harm to one patient who suffered a brain injury as a result of being poisoned and for whom Chua falsified his medical records, recording him as being conscious and alert when blood tests have proven that he was suffering severe hypoglycaemia. Chua was also found guilty of attempting to intentionally cause grievous bodily harm to 21 other patients who became unwell after being treated with products contaminated with insulin but for who it could not be proven beyond all reasonable doubt suffered injury as a result or who suffered no lasting effects. In the case of one of the patients, Chua was seen by staff to give a false reading by placing his own finger in a probe that records patient information. A police investigation commenced in July 2011, after a number of patients fell-ill and contaminated products were discovered. Officers from GMP’s Major Incident Team commenced an investigation into the poisonings and contaminations. The main lines of investigation included a review of hospital data, including point of care results, medical records and preserved blood samples, a review of the supply chain of effected products and an investigation into the shift patterns, backgrounds and working practices of hospital staff. Due to the ongoing inquiry, Chua changed tact as he sought to poison other patients - again indirectly - in January 2012, by altering patients? prescriptions. Alterations involved adding prescription only drugs or increasing the size or frequency of the dose. One patient was actually administered a dose prior to the alterations being discovered and subsequently made a full recovery. In respect of these offences, he was found guilty of eight offences of unlawfully administering or causing to be taken by another person any poison or destructive or noxious thing with intent to injure, aggrieve or annoy, or attempting to do so after deliberately altering prescriptions. Of all employees, including permanent, temporary and 'bank' staff, detectives established Chua was the only person on shift proximate to three key events. He was present when five patients were poisoned overnight between 10th and 11th July 2011; when contaminated ampoules were found overnight between 11th and 12th July 2011; and when prescription charts were fraudulently altered on 3 January 2012. Victorino Chua sentenced to 35 year min term life sentence before considered for release for murders. Victorino Chua, the "Killer Angel" nurse who killed two of his patients and poisoned 19 others, has been sentenced to 35 years in prison. The 49-year-old showed no reaction during the sentencing. The Philippine-born nurse killed Tracey Arden, 44, and Derek Weaver, 83, at Stepping Hill Hospital in Stockport by injecting insulin into saline bags and ampoules. in June and and July 2011. Other nurses then unwittingly used the contaminated bags on Chua's victims, who were mostly elderly patients. Chua was described as a "narcissistic psychopath" by detectives after he was convicted following a three-month trial. In sentencing Victorino Chua, Mr Justice Openshaw QC described how Grant Misell was left with brain damage after the nurse poisoned him directly. The court was told Chua flushed his drip with saline contaminated with insulin himself. He suffered a terrifying hypoglycaemic attack which caused a severe brain injury. Chua has watched as he was in agony, moaning in pain but did not help him. In Grant Misell's victim impact statement, he described how his life had been destroyed. He had been an accountant, negotiating multimillion pound deals and now says he can no longer hold down a job stacking shelves.